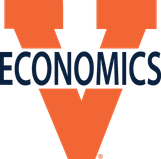 Learn unfiltered advice and comments on all your ECON classes. Have an inspiring chat with faculty members on topics of your interest. Listen to presentations on 𝗔𝘂𝗰𝘁𝗶𝗼𝗻 𝗧𝗵𝗲𝗼𝗿𝘆 and 𝐀𝐝𝐯𝐞𝐫𝐬𝐞 𝐒𝐞𝐥𝐞𝐜𝐭𝐢𝐨𝐧 and 𝐌𝐨𝐫𝐚𝐥 𝐇𝐚𝐳𝐚𝐫𝐝, get involved in 𝐅𝐫𝐞𝐞 𝐃𝐞𝐛𝐚𝐭𝐞, and enjoy 𝐈𝐧𝐬𝐨𝐦𝐧𝐢𝐚 𝐂𝐨𝐨𝐤𝐢𝐞𝐬 !